Apple Watch's new digital crown allows users to scroll and cycle through content without fingers obstructing the screen. It's a lot like the classic iPod click wheel. 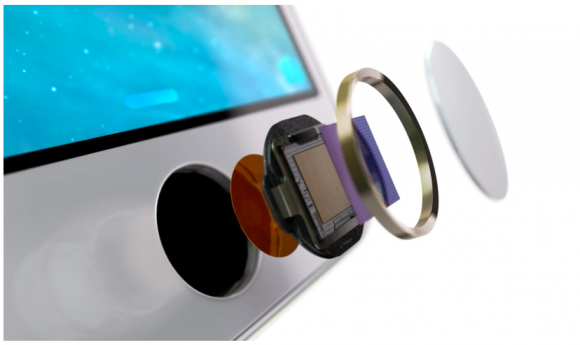 In order to bring the same UI elements to the iPhone, Apple can use the capacitive sensors within the TouchID home button to capture gesture input. Simply trace your finger around the metal rim of the home button in order to scroll or cycle through the content on your iPhone's screen.